the best part about teaching blogshop in chicago is that i get to stay at my mom’s house and relax with family after class. my mom made angela & i roast, potatoes and carrots when we got home from teaching. it was awesome. as usual, we had another stellar group of students attend this time. we taught in our friend’s studio (the barkers) again and had a great time. 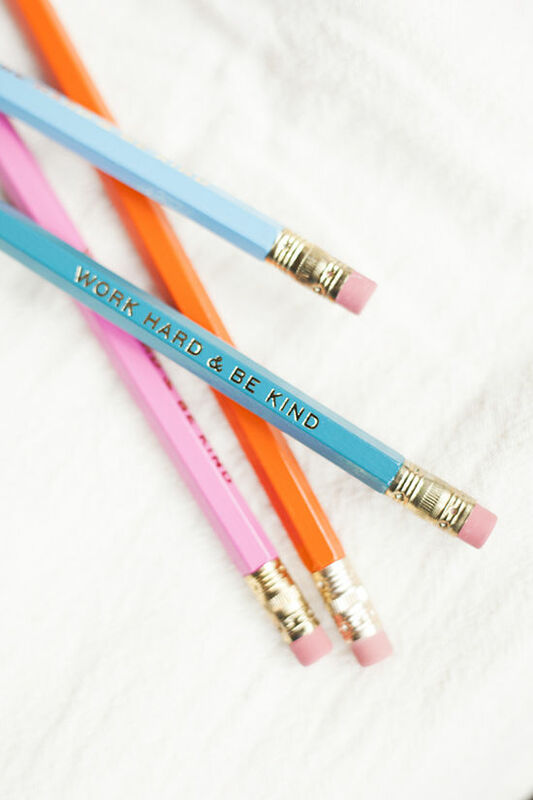 we like the message these pencils by amanda catherine designs deliver. work hard & be kind! 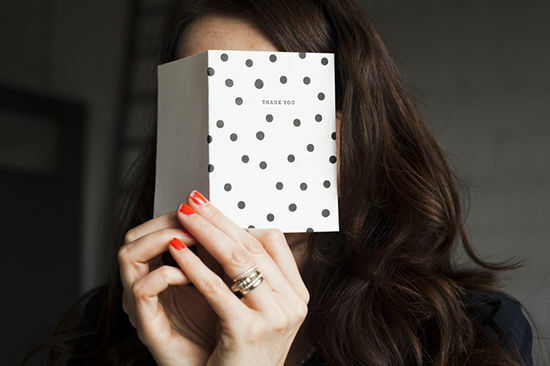 and on that note, i love these black and white polka dot thank you cards by fox and anchor paper by type a press. 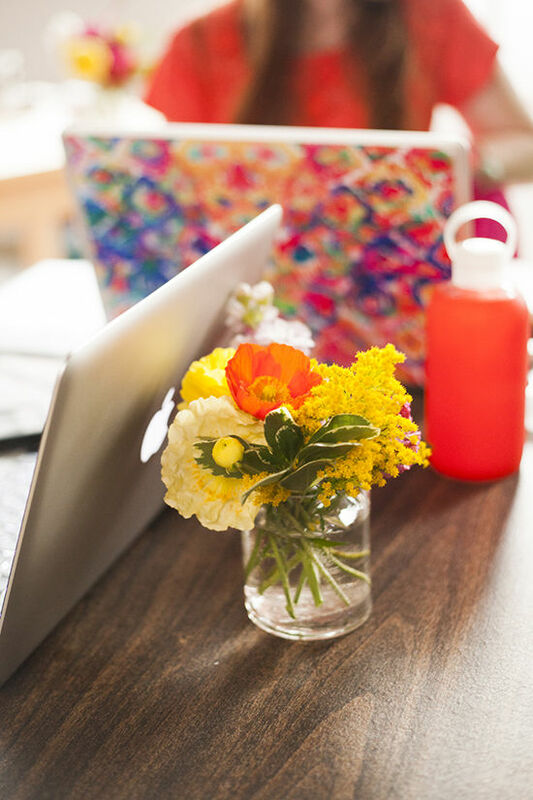 caitlin of fox glove studio created all of our cheerful floral arrangements for this class..
you know by now that bkrs are my favorite water bottles ever. 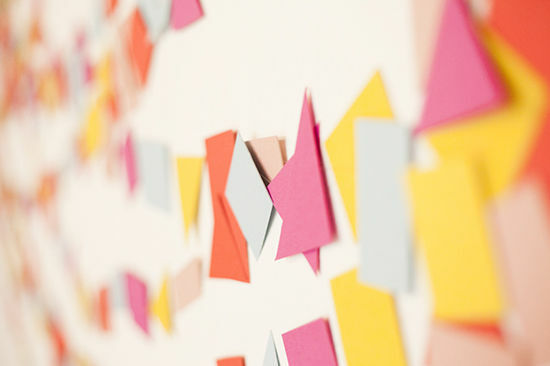 fox glove studio made this festive geometric garland into a photo backdrop for the smilebooth we had on hand. we had a blast taking pictures, and you can see all of them from saturday here, and sunday here! you can also check out our instagram feed for #blogshopchicago here! 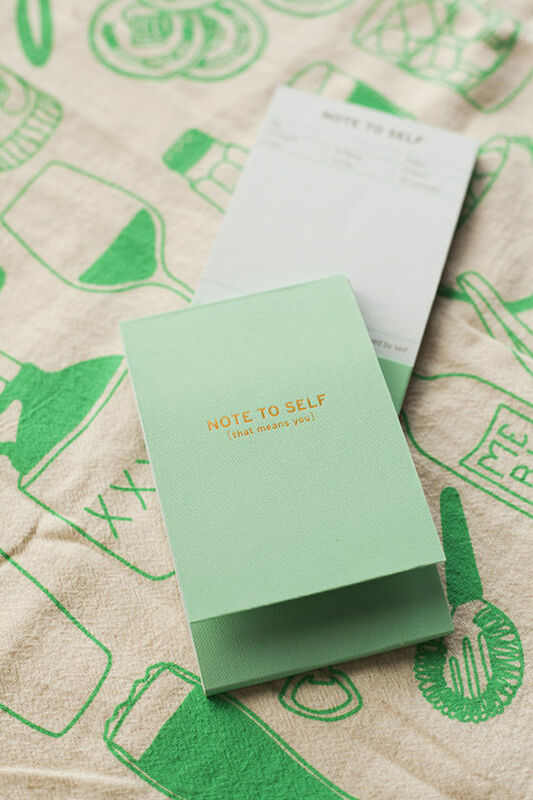 these notepads by knock knock have catchy sayings. i love the mint & gold combo too. i use tea towels to wrap a gift or package or for its obvious kitchen use. map tote makes these 3 designs. the cocktail themed shown above is my pick. 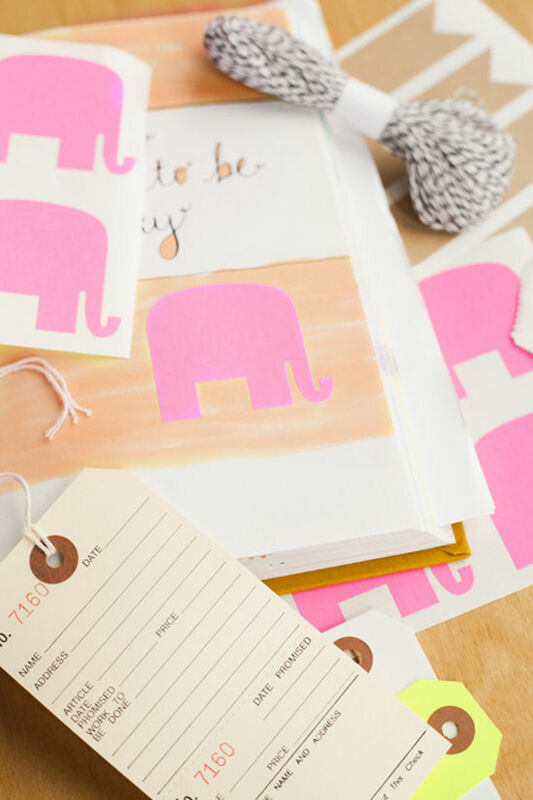 hunter’s hideaway is an etsy shop that sells these stamp duos that make designs when you repeat them, and we thought they’s be perfect for the goodie bags. it’s vital to keep cards and gift wrapping supplies on hand. a thank you goes a long way. we gave each student a kit from california craft with stickers, tags, bags and twine for quick projects. i’ve been wearing this delicate triangle ring nonstop since chicago. virginie millefiori makes some really cool jewelry and we gave these colorful rings to our chicago students. 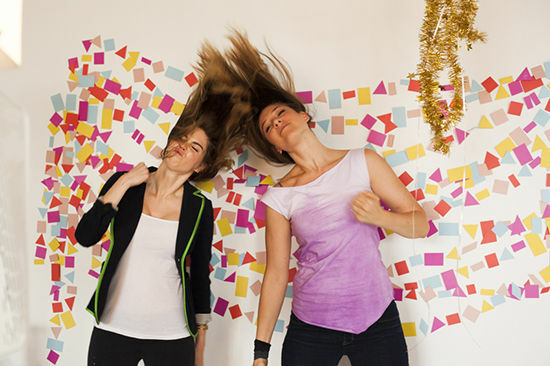 join us this summer and fall for blogshop in a city near you! i was REALLY hoping i could go to this one, but sadly had a wedding that weekend. stockholm will be amazing! 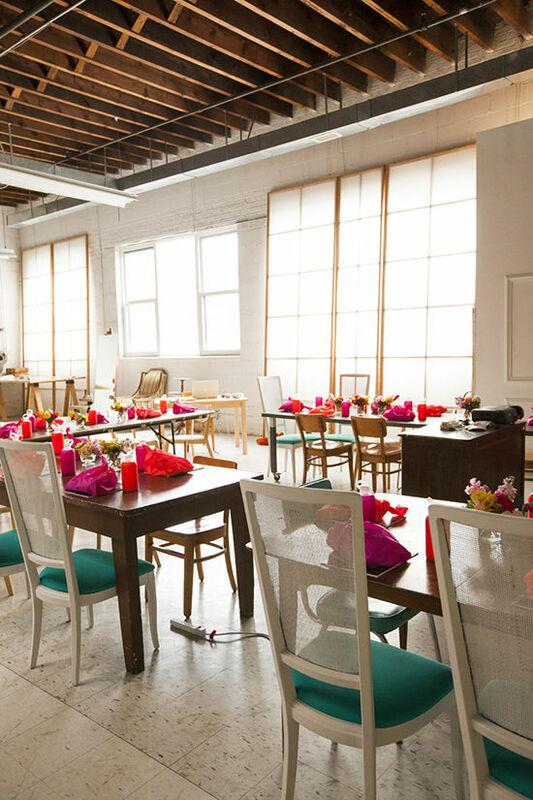 Wow that studio is so bright and airy—what a great place to hold the class! 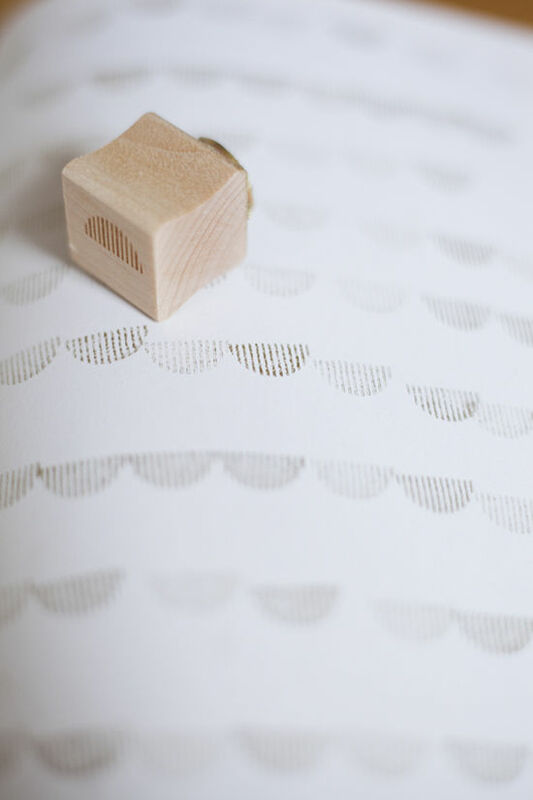 Love your triangle ring, and the geometric backdrop is amazeee! 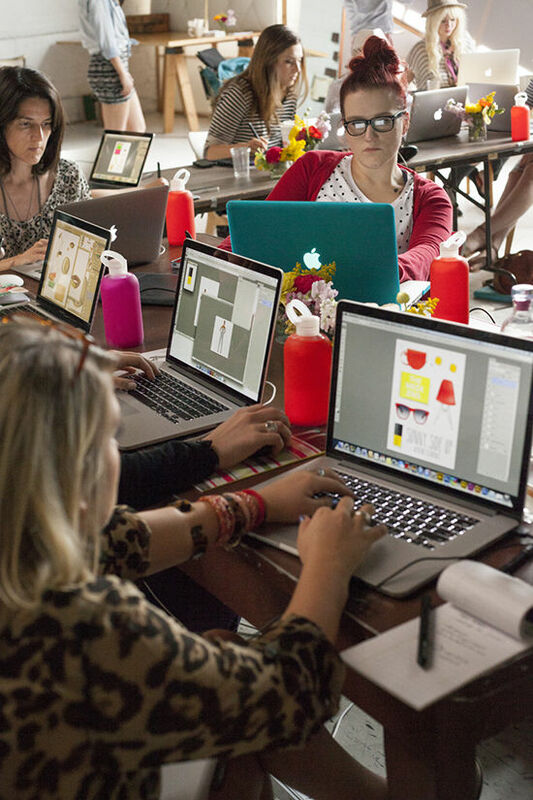 Your workshops look like so much fun! So much fun Bri! I love the little ‘note to self’ notepads and Stockholm is going to be a blast. So bummed that i had to bail on being an intern for this weekend… looked like a blast! Fingers crossed you’ll be back soon, after a well-deserved break of course! Do you bring a photographer with you ar do you take most of your won photos? Bri, I really love and appreciate that you include the goodies list for every blogshop! So often I use this for gift inspiration! It’s awesome! 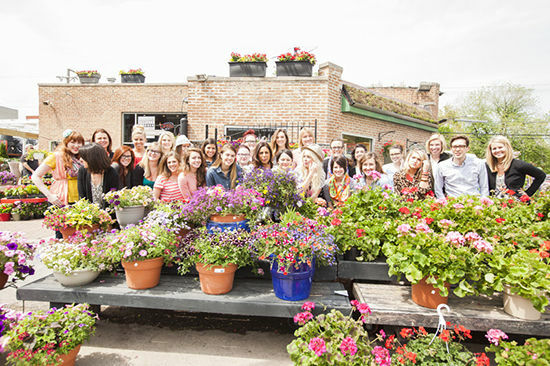 Wish our Chicago blogshop had been so open and bright! Loved meeting your mom though, yay Chi class of ’11! 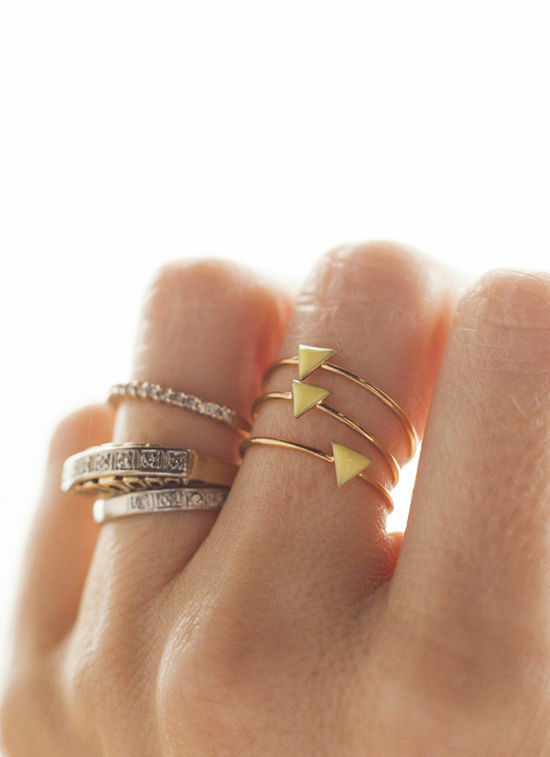 In love with the triangle rings. I had to click over and take a look at the rest of her work! i didn’t understand, what do you do exactly on those blogshops? I love those triangle rings! Thank you for introducing Virginie Millefiori. I’ve been following Dream Collective since you introduced them a while back, as well. This looks like it was an absolute blast! Hope there can be on in Minneapolis in the future! what an adorable space in chicago. so much color happiness going on! Interning was so much fun! Hope to see you back in Chicago soon. Any suggestions on where to stay when in Chicago? My husband and I are trying to plan a trip to the Windy City soon! Thanks!